The release of the South African Institute of Chartered Accountants (SAICA)’s Initial Test of Competence (ITC) results on 28 March 2014 provided a clear demonstration of Unisa’s continued excellence in producing high-calibre budding chartered accountants. It also highlights the fact that the university plays a formidable role in the growth and development of the accounting profession in South Africa through its continued production of suitably trained accounting graduates. The ITC results showed that former Unisa students who wrote the examinations for the first time in 2014 achieved a pass rate of 68 percent. This brought the overall pass rate of all Unisa students who wrote these examinations (both first time and repeat students) to 58 percent, an improvement from the 55 percent and 44 percent achieved in 2013 and 2012 respectively. Furthermore, the university takes even greater pride in the fact that, annually, almost a third of all students who successfully complete the SAICA ITC examination are former Unisa students, thus demonstrating the university’s enormous impact on society. The university produced more than a third of students from previously disadvantaged backgrounds who passed the examinations this year (335). Of these, 181 out of a total of 591 successful African candidates are former Unisa students. “South Africa has a dire shortage of skills in the accounting field, which has seen this sector ranked amongst the national priorities of the country. As a university, we are both excited and ready for the challenge to contribute to national efforts aimed at supplying the country with much-needed skilled people in this field,” said Professor Elmarie Sadler, Executive Dean of Unisa’s College of Accounting Sciences. 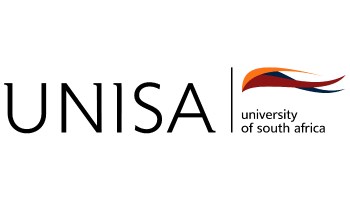 According to Sadler, of greater national importance is Unisa’s contribution to the transformation of the chartered accountancy profession. The university produced more than a third of students from previously disadvantaged backgrounds who passed the examinations this year (335). Of these, 181 out of a total of 591 successful African candidates are former Unisa students. Unisa’s College of Accounting Sciences (CAS), which strives towards excellence in accountancy, plays a very significant role in equipping students with accounting skills through proper education in the field of accounting sciences. It is recognised by SAICA to issue the Certificate in the Theory of Accountancy (CTA), to qualifying students based on the successful completion of the college’s CTA programme. Candidates wishing to be part of the elite group of professional chartered accountants (CA (SA) require a CTA to be allowed to write the SAICA Initial Test of Competence (ITC), as one of the first steps to become chartered accountants.